Here’s a video from http://www.BillPeckham.com via the Renal Fellow Network about how to stick yourself (Self-cannulation) for home dialysis using the “button-hole technique”. 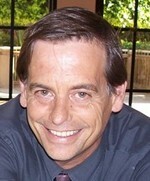 Bill Peckham has been on dialysis since 1990 (before my sons were born!) and was an early presence in the blogosphere, writing about his experience with dialysis. He’s a wonderful writer and a very good leader in the dialysis community. Check out his blog! His website is at www.BillPeckham.com and you can view the video about Self-Cannulation by CLICKING HERE. Update 7/29/13: I also found this video from Canada about the benefits of self-cannulation (sticking yourself). CLICK HERE to read and view it. This entry was posted in dialysis, dialysis equipment, ESRD, Home dialysis, Self-Cannulation and tagged dialysis, ESRD, hemodialysis, Home dialysis, patient, Self-cannulation. Bookmark the permalink.